Outlet of L. Oswego into Willamette R.; Large pipe goes to power plant; Oswego Scenic; Keep for revised edition of Iron Dr [book, Oregon's Iron Dream]. [label]: Mrs. Robert Arneson, North Shore road Oswego Oregon. Description Cropped version of #1580 which shows the McVey St. bridge. 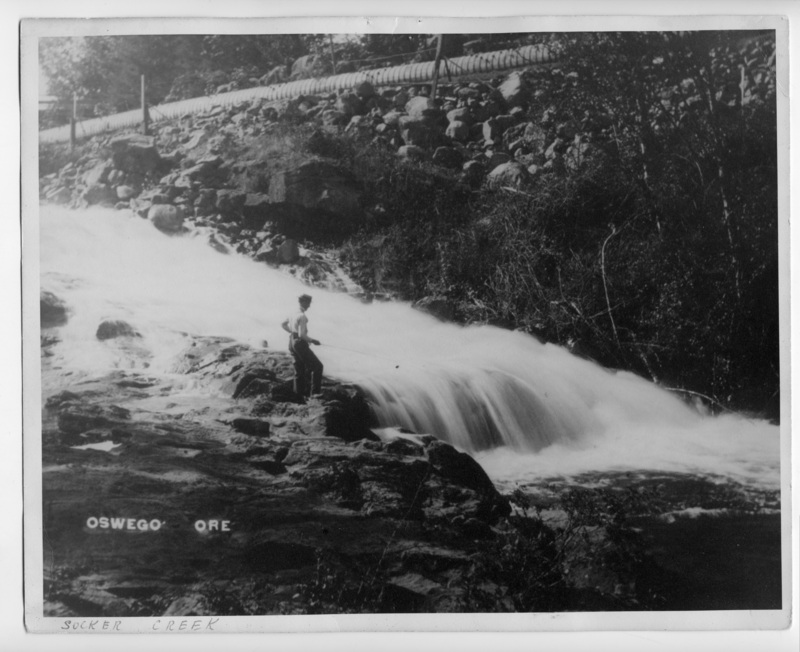 Notes on front:Oswego, Ore; Sucker Creek. Transcription Outlet of L. Oswego into Willamette R.; Large pipe goes to power plant; Oswego Scenic; Keep for revised edition of Iron Dr [book, Oregon's Iron Dream]. [label]: Mrs. Robert Arneson, North Shore road Oswego Oregon.